An intruder with control over a user account can eavesdrop on transactions, manipulate data, provide false and business-damaging responses to customers, and redirect customers to a competitor's site or inappropriate sites. This Lab is germane to the quote above. In this Lab you will configure an EC2 instance to use the CloudWatch agent so it can deliver the security log file to Amazon CloudWatch. A CloudWatch Log Group and Log Stream will be automatically created for you. By monitoring the security log file for a specific type of potential breach (based on a pattern), CloudWatch will proactively send an email notification to your email. 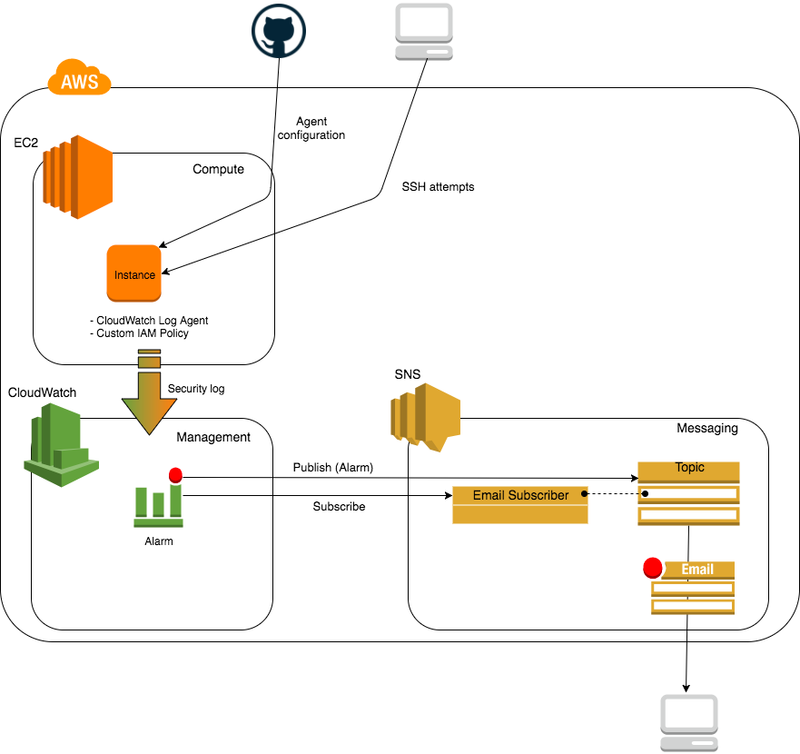 You will also configure Amazon Simple Notification Service (SNS) as the communication channel for the notification. Although this Lab focuses on failed SSH attempts, there is a broader application that should be recognized, including how CloudWatch can be utilized in many different ways for many different logs or infrastructure metrics.